The Story of a Lifetime is our community initiative from Windsor Funeral Home. 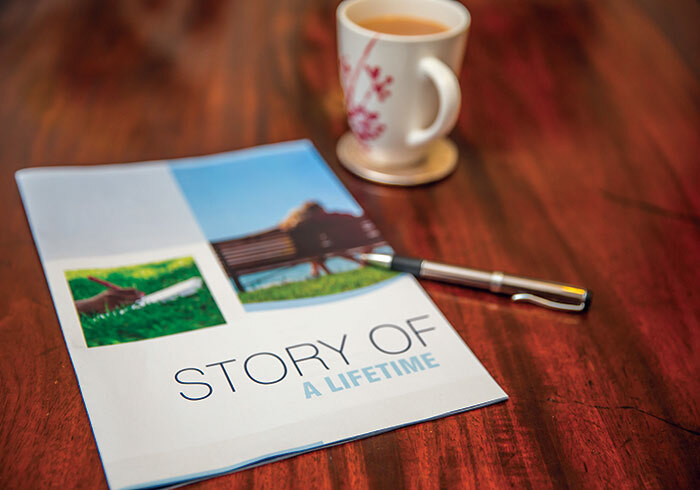 The Story of a Lifetime is a free resource for you to document yours or a loved one’s life story in a fillable booklet, available as a hard copy or digital copy which can be stored securely on your computer. The Story of a Lifetime has been designed with easy prompts on each page to start your memorable conversation. You can either download and print it to use as a booklet, or if you prefer, you can store it as a secure ‘e-book’ on your own computer. No data or personal information is stored on our servers. Just remember to ‘save’ each time you close the e-book version. If you would like a hard copy or for us to present this concept to your community group, please call our office on (02) 4546 0047. Enter your details to download your free copy instantly. The Story of a Lifetime document will be continually updated. We will only use your name and email address to inform you of new updates to the document.